Short Info: Madhya Pradesh Public Service Commission has successfully conducted the MPPSC State Service Examination 2018 from 23.07.2018 to 28.07.2018 for 895 MPPSC vacancies. A huge rush has participated in this examination. Now, they are waiting for their result. Here is good news for them. The authority has declared MPPSC Result. The appeared candidates are able now to check their MPPSC State Service Examination Final Result. Candidates need to visit the official website to check their result. They are able to check it from this page also. 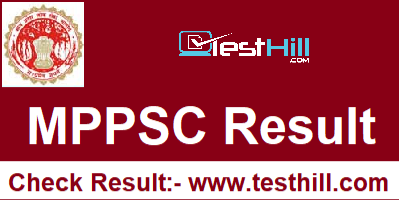 We have provided the direct link to check MPPSC Result. MPPSC Final Result is available on the official website of Madhya Pradesh Public Service Commission. Candidates can check their roll number in the result pdf. The result is available in a pdf form in which candidates roll numbers are given. Appeared candidates can check State Service Examination mains result from this page also. They don’t need to provide any personal information. They can directly check their roll number in the result pdf. The qualified candidates called for the interview process 31st December 2018 to 23rd January 2019. The final selection is made on the interview performance and written examination basis. There are 895 candidates names are given in final result pdf.